Choosing a company car can be an exhausting experience for user-choosers who are often overwhelmed by choice and worn down by how long the process can take. Luckily, the inaugural Company Car Today Awards have just taken place at the Café de Paris in London, and effectively compiled a list of the best company cars available in 2018. Each winner was picked based on it being the best all-round company car in its sector, based on running costs, efficiency, practicality and all-round appeal. Company Car Today said its awards aimed to spotlight the top company car choices and give fleets the best options for their business car operations. Citroen was one of the big winners on the night, coming away with three awards. The C3 Aircross won compact crossover of the year, MPV of the year went to the C4 Picasso, while the forthcoming C5 Aircross was deemed to be the most exciting new car of 2018. 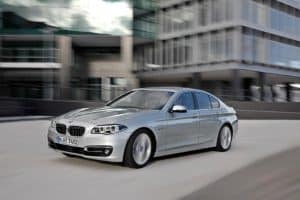 BMW also came out top in three categories, with the X1 winning premium crossover of the year, plug-in hybrid electric vehicle (PHEV) of the year for the 330e, and the overall prize of car of the year for the 5 Series. Volvo did pretty well too, clinching premium lower medium car of the year with the V40, then large SUV of the year for the XC90. In the rapidly expanding world of SUVs, the Peugeot 5008 won SUV of the year, Alfa Romeo's Stelvio was named premium SUV of the year, while the SEAT Ateca claimed crossover of the year. Nissan’s radically reborn Micra won supermini of the year, while the Honda Civic was deemed to be the finest model in the lower medium segment. Finally, luxury car of the year went to the Mercedes-Benz S-Class. Speaking on Citroen’s trio of awards, Company Car Today editor Paul Barker said: “Citroen’s first venture into the crossover sector has proven successful with the C3 Aircross, and that car is to be followed by another winner, if the opinions of Company Car Today’s readership are anything to go by. “The C5 Aircross won’t arrive in the UK until the end of 2018, but our readers have voted it the arrival they’re most excited about this year.